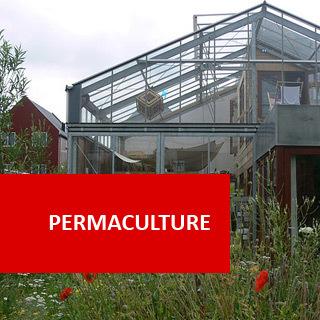 Thinking Local - Permaculture and you! Jul 24, 2014 Local Environmentalism When it comes to conservation and environmentalism, it’s the little things that matter the most. 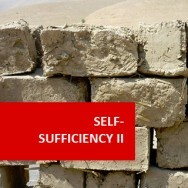 Not everyone can ma..
Self Sufficiency - how to reduce your carbon footprint Sep 24, 2014 Ecologically minded people today are always looking to find a way to reduce their impact on the environment. 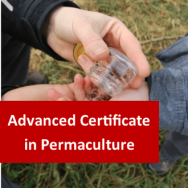 With the increase in freak weather events and..
Permaculture Principles in Your Garden – Working with Nature Apr 09, 2015 The discipline of permaculture is all about trying to work with nature and not against it. 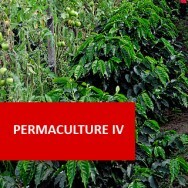 This means trying to organized the eco-systems at work wi..
Why Permaculture is a Bit Like The Lion King Apr 28, 2015 Having thought deeply about it for a little while, we have come to the conclusion that yes, pemaculture is definitely a little bit like the .. Recycling at Christmas Dec 22, 2015 If you want to take a cynical approach to the festive season then you might say the Christmas is a giant celebration of retail where we spend huge amounts of mo..
Self Sufficiency Sandbags Jan 07, 2016 It’s been something of a wet January here in the UK. Snow has been relatively rare but flooding and flood warnings are all too common. For the..
Butterbur: An Introduction May 22, 2017 Whilst out walking by a grassy river bank in mid-March, I spotted some Butterbur in flower. I was quite unaccustomed to seeing it as a tiny flowering plant. For..
5 Ways to Preserve Food at Home Jul 06, 2018 It seems you can't get through a news cycle without some terrible end of the world crisis in the making. Whether it's bellicose wars of words betw..
3 Reasons You Should Raise Animals Jul 13, 2018 If you have the space and the time, you might want to consider raising your own animals. It doesn't have to be acres of land where you can keep a cow or two.. The History of Pesticides: Part I, The Present Day Nov 09, 2018 Pesticides, herbicides and fungicides (generally considered together as ‘pesticides’ or informally as ‘chemicals’) have a long and contr..
Permaculture I course online. 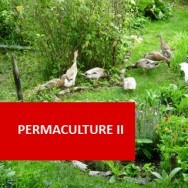 Learn the basic concepts of Permaculture. 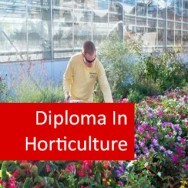 This course will help you develop a basis for permaculture design by explaining the patterns which occur in nature, such as weather systems, water cycles, topography, soil-plant interactions and forest ecology, and how a knowledge of these patterns can be used to reproduce balanced and productive garden growing systems. 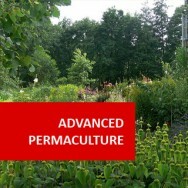 Discuss the nature and scope of Permaculture. 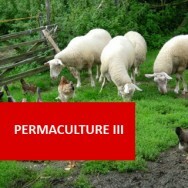 Apply an understanding of environmental systems to considerations given to how a Permaculture system is designed. Describe soils and the impact their characteristics have upon natural and man made environments. 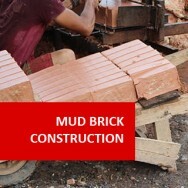 Explain the application of this knowledge to Permaculture. 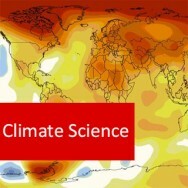 Describe characteristics of climate and water, and the impact their characteristics have upon natural and man made environments. 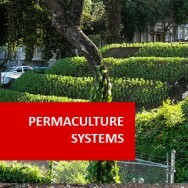 Describe forest systems and their relevance to Permaculture design. Visit an outdoor environment area determine what relationships the living and non?living things might have with each other. Determine some of the characteristics of soil samples collected by you. Explain the relationship between soils and plant growth. 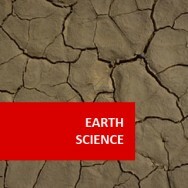 Research different ecosystems such as arid deserts, savannas, mangroves, etc. Describing the microclimate of arid classification. Describe the differences between the three main types of climate zones such as Tropical, Temperate and Desert and briefly give your views on what major differences would need to be taken in establishing a permaculture system in each climate zone, compared with the other two. Consider the impact of plant communities on each other and to the rest of the ecosystem. Determine the effects of light, rainfall, wind, leaf litter, etc, on the growth of the plants you observed.